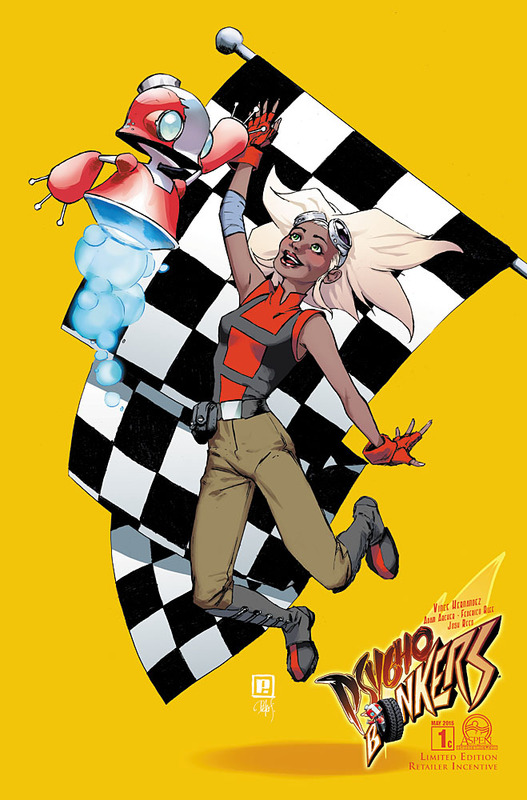 Join Shine, a young but unyielding teenage girl, as she races to find the true story behind the tragedy that wrecked her family, and shattered the sport of Bonk Racing to its core. 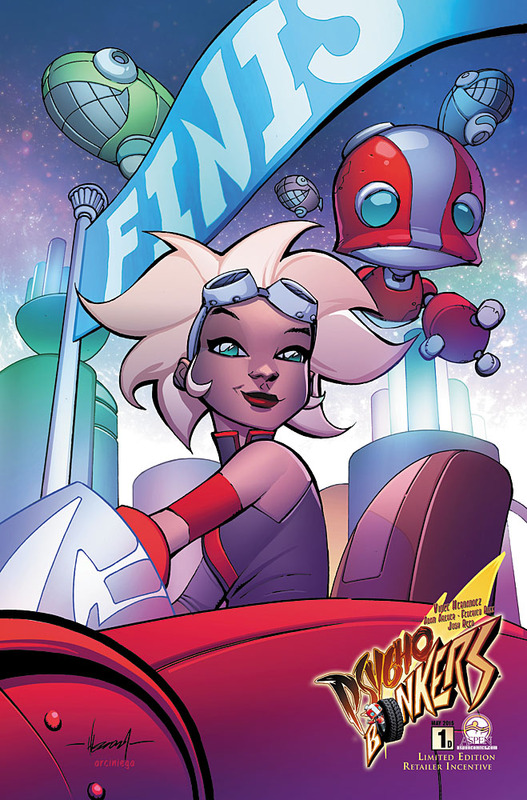 Along with her trusted technician, Gabbo, and her sentient Bonk Racer, Shiza, she will discover that learning the truth about her future is as dangerous as the tragic past she is trying to forget! 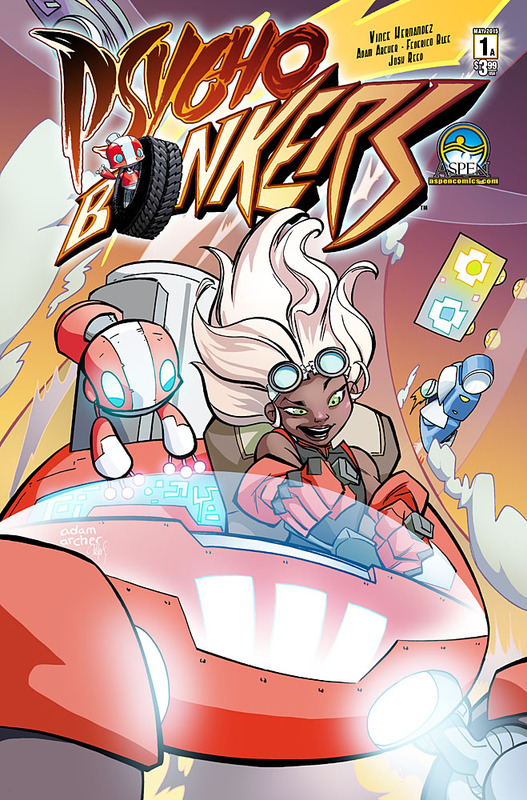 Told in a series of five legs within the race of all races—the Super Bonk Rally, this five issue mini-series will span amazing landscapes and death-defying terrain, as these racers go Psycho Bonkers! 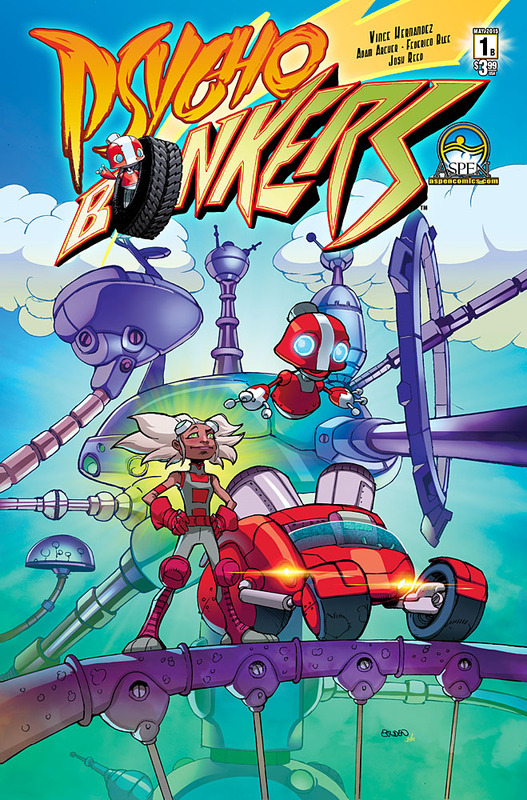 PSYCHO BONKERS #1 is in stores May 20th, 2015! 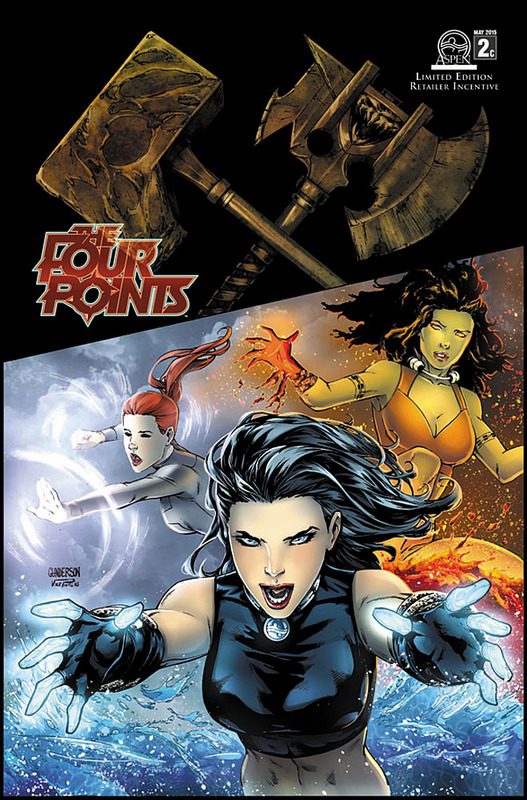 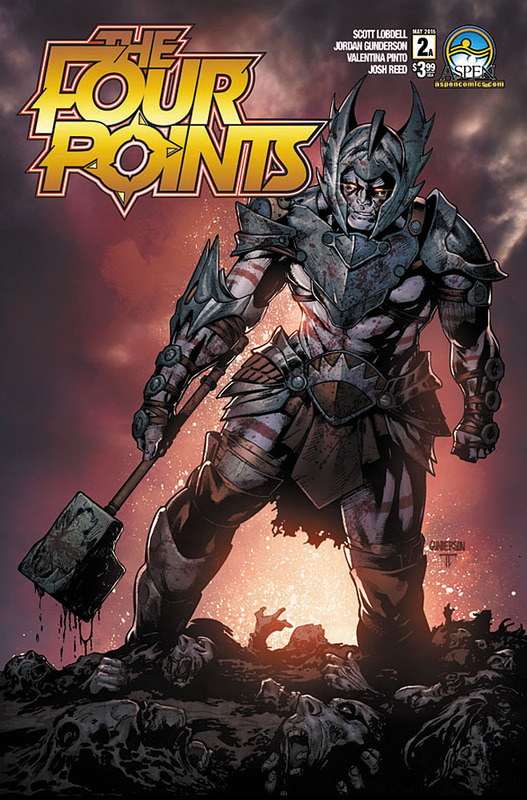 THE FOUR POINTS #2 is in stores May 13th, 2015! 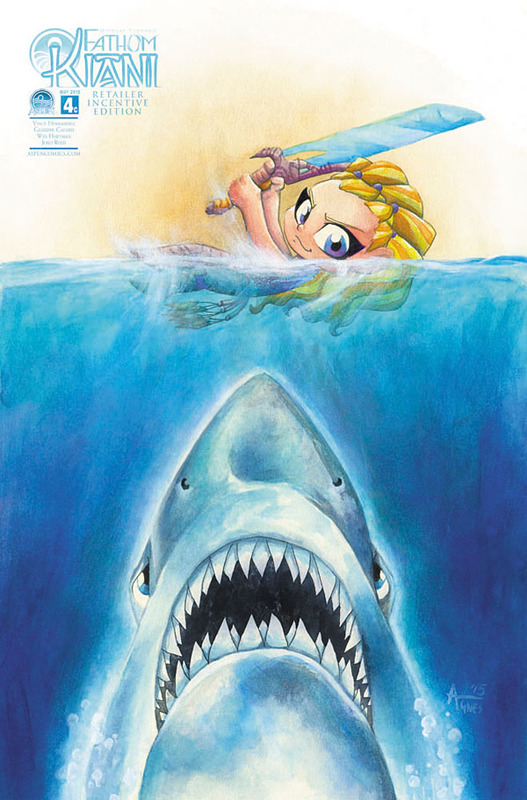 The Sirens of legend have been mercilessly held against their will for centuries on end with no respite! 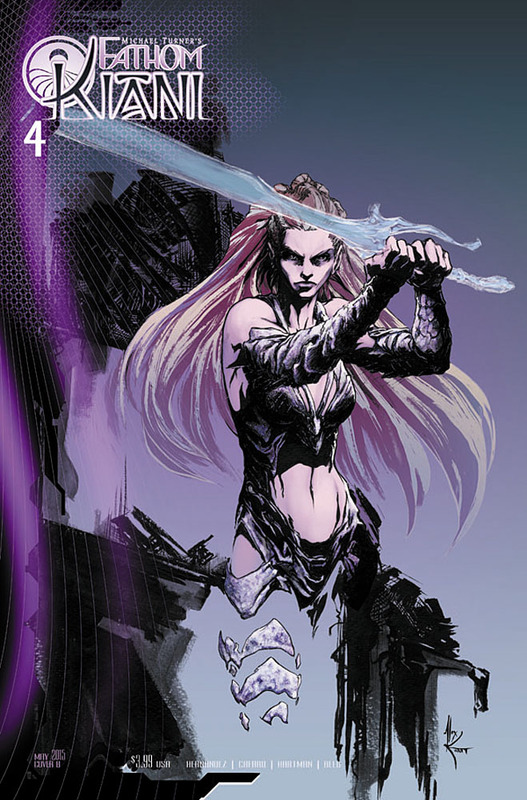 However, will Shahrazad decide to rescue them in their time of need–or leave them to their own tragic fate? 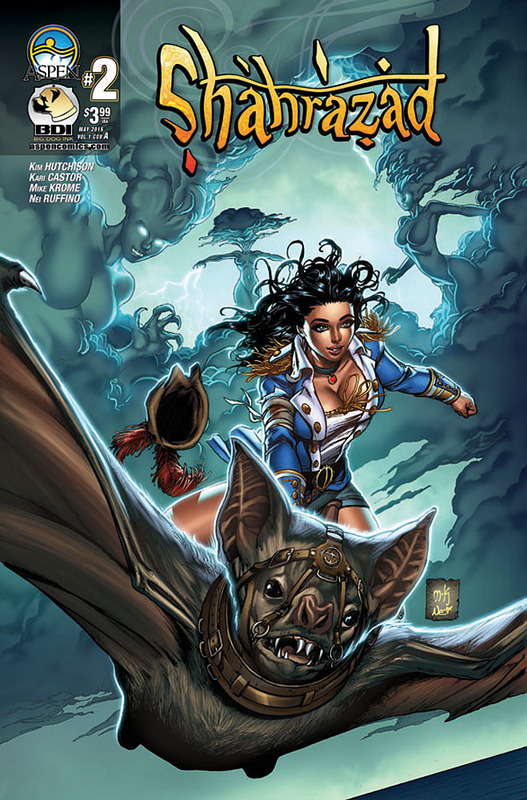 SHAHRAZAD #2 is in stores May 6th, 2015! 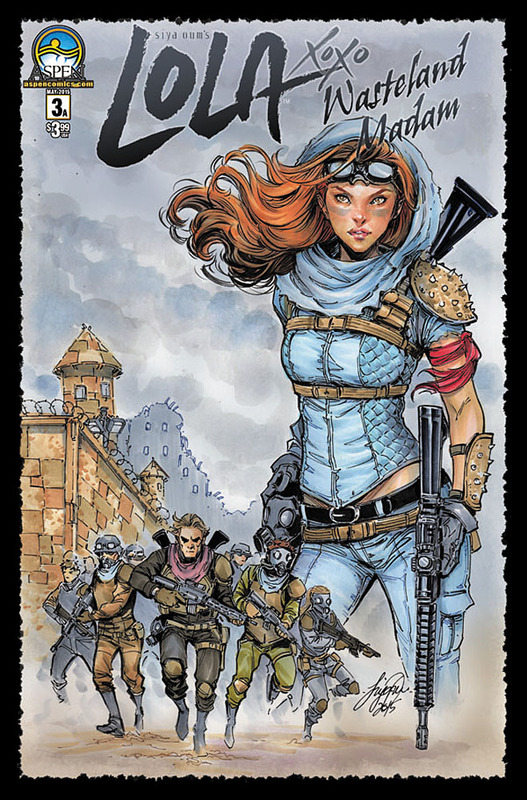 Thoughts of mutiny begin to spoil the group’s plans for any type of future as one, as Madeline finds that holding a band of people together is much more difficult than keeping them alive. 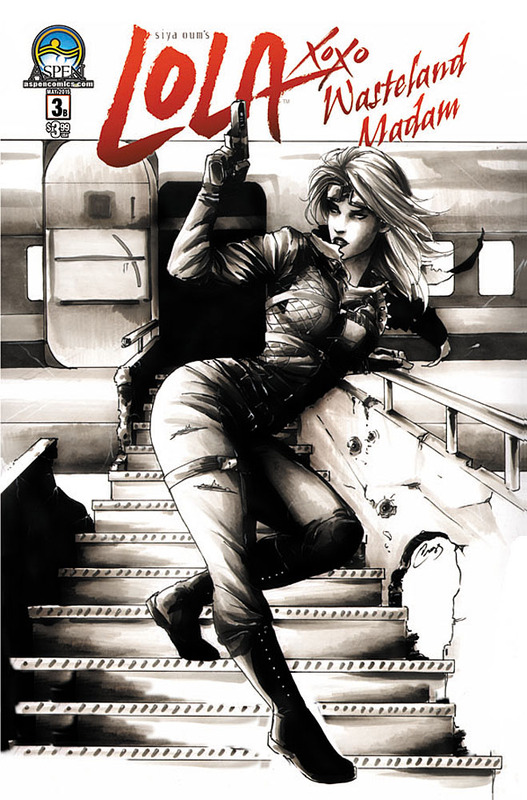 Yet, her greatest challenge will come in the sacrifice she may need to make, in order to ensure her own survival at the hands of the mercenaries attempting to takeover the airstrip. 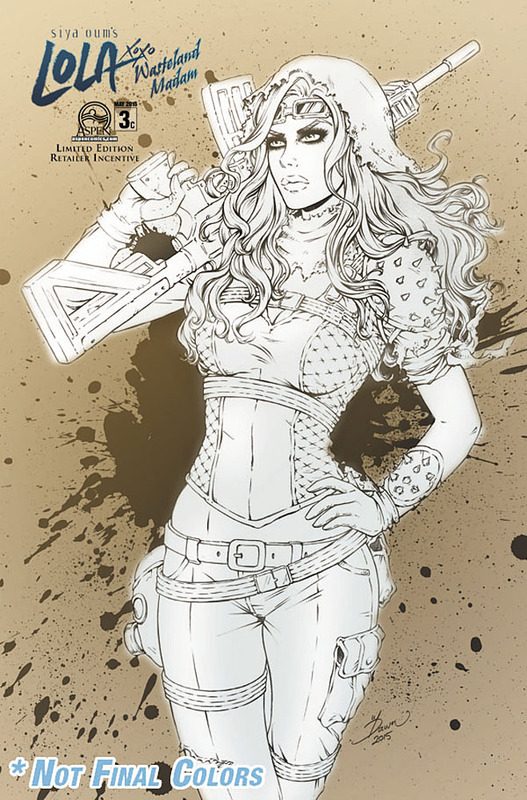 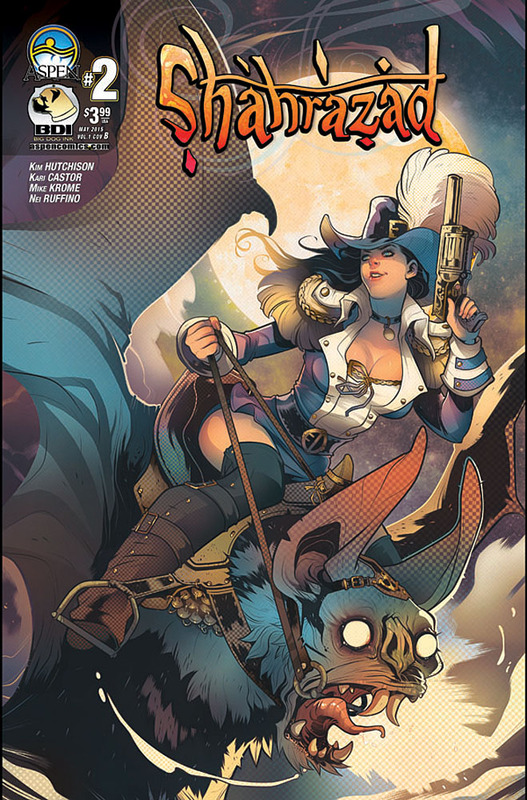 LOLA XOXO: WASTELAND MADAM #3 is in stores May 27th, 2015! 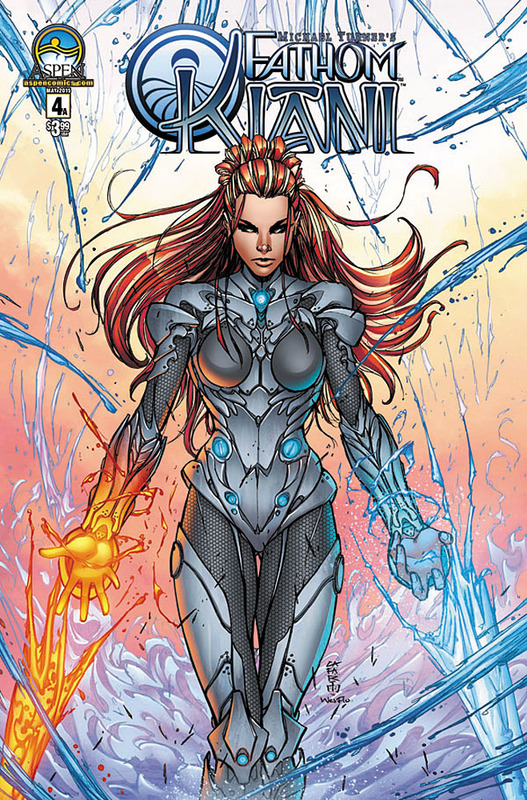 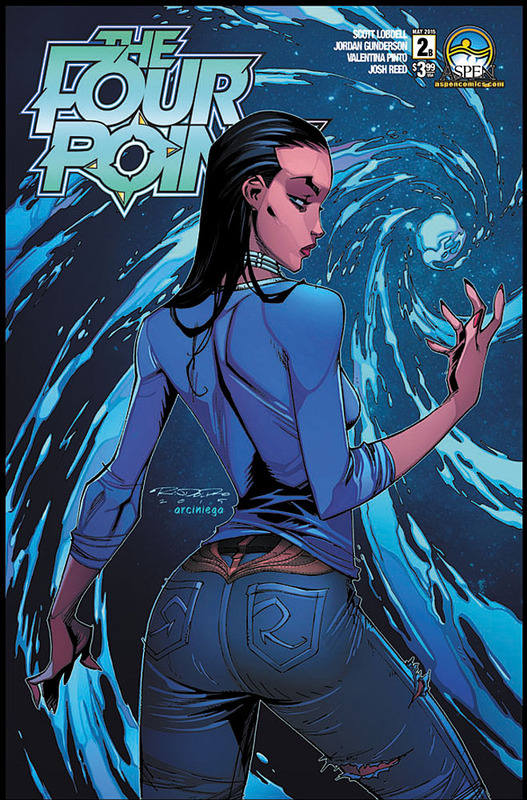 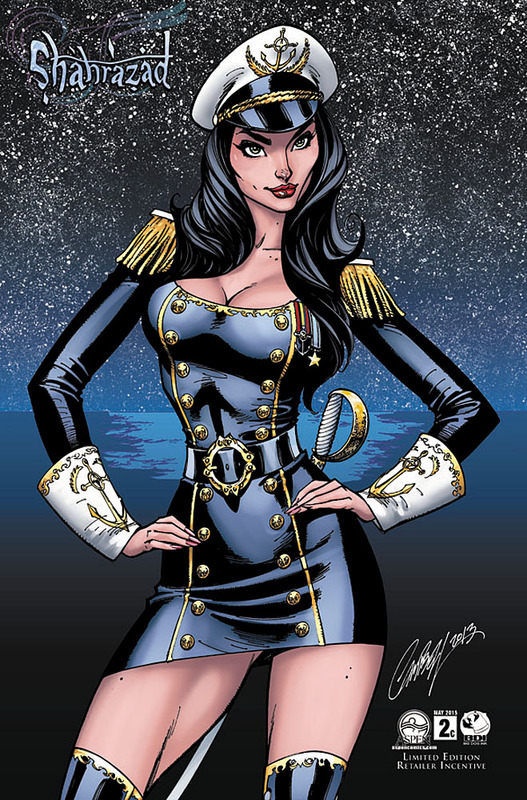 FATHOM: KIANI vol 4 #4 is in stores May 20th, 2015!